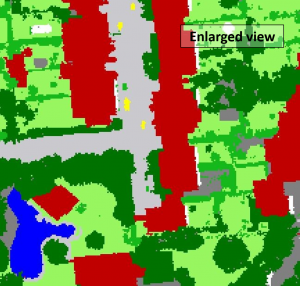 Aerial point clouds recorded by LiDAR (Light Detection And Ranging) sensors provide valuable information about the earth’s surface, including the signature of cities. The emitted laser pulse is utilized to measure the distance between a target and the sensor platform and is able to describe the height of scanned objects. Furthermore, details about intensity and the number of returns are stored in the data sets. 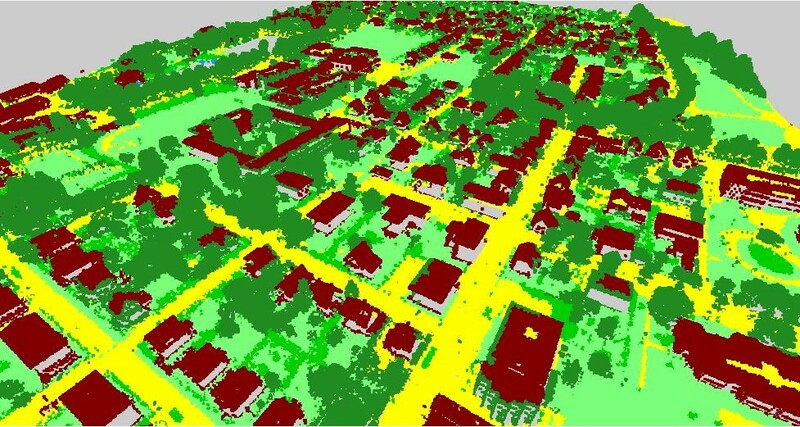 Frequently, LiDAR data are analyzed in combination with optical imagery in order to perform precise city mapping. For various reasons of data limitation this isn’t always possible. 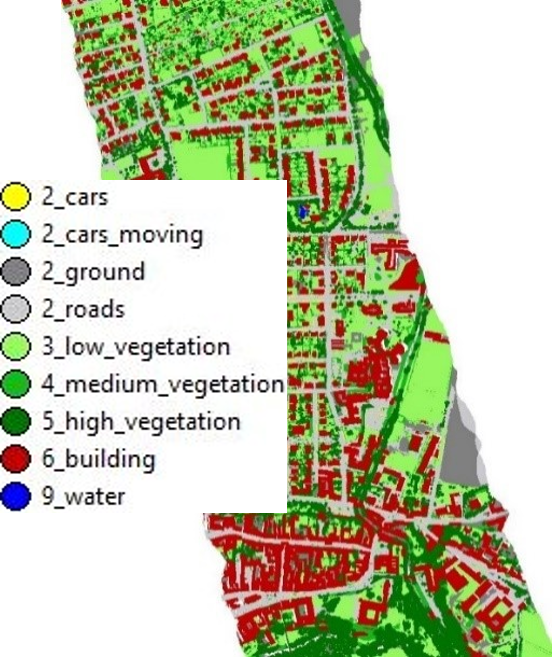 With our multistage approach a city signature classifying (2) ground, (3) low vegetation, (4) medium vegetation, (5) high vegetation, (6) buildings, and (9) water could be generated just by using LiDAR Data recorded by two sensors from slightly different positions. Furthermore, the class ground is subdivided into the (1.1) road network and (1.2) cars (moving and still). Accuracy assessments of random samples for each class proof meaningful classification results of the five-stage Tama Group approach, even though classification is exclusively computed by LiDAR data. For most of the samples the classification resulted in correct membership. 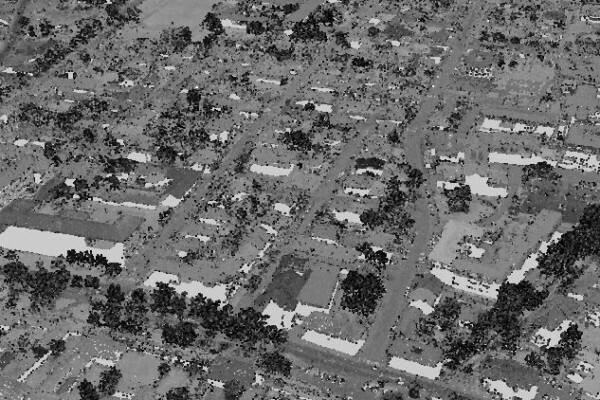 Exporting the extracted ASPRS classes into the existing or into a new LiDAR file enables further analyses of the point cloud if desired. Let’s talk about your use of our approach.